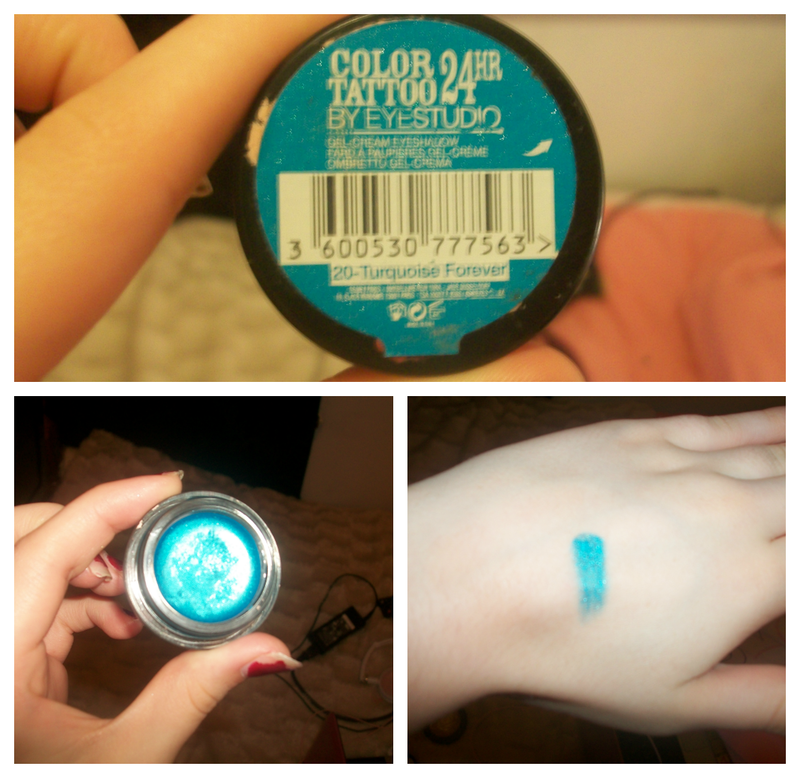 Emilicia STYLE - A Beauty, Fashion, & Lifestyle Blog: Sea Blue & Beach Peach Eyes Tutorial - Using Maybelline Colour Tattoo! 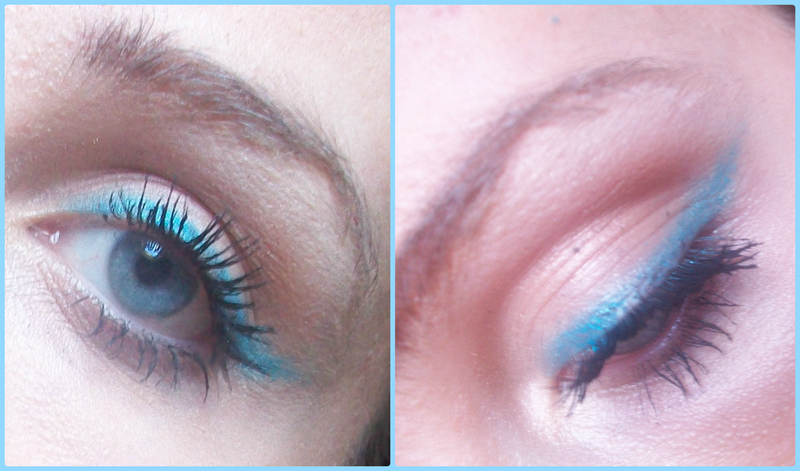 Sea Blue & Beach Peach Eyes Tutorial - Using Maybelline Colour Tattoo! Today's make-up tutorial is one for the eyes. They say that the eyes are the windows to the soul, and I think that's very true. We can smile with our eyes, and speak a million words with just one look. That's why, for me, the make-up on your eyes will be the most important feature on your face. And what I love about eye make-up is that there are so many different looks you can create, all for a different purpose/theme! 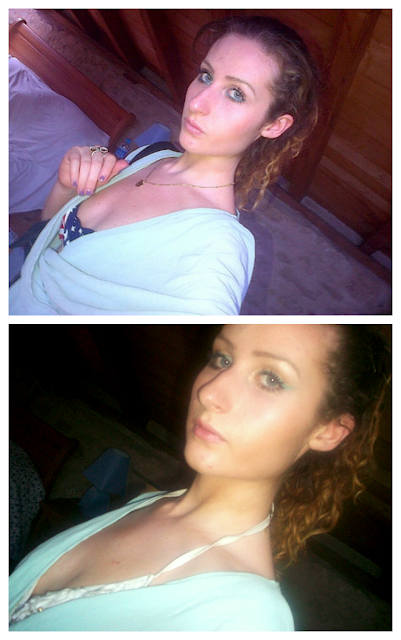 I came up with this look whilst I was on holiday, and it's not too hard to see why. I think the mixture of sunsets and blue skies had really gotten to my head - and gave me this lovely idea for a beachy looking peach and sea-coloured eyeliner/eyeshadow blend. The great thing, as well, is that this look can look good on a variety of different coloured eyes. Blues tend to look great on those with brown eyes, and peaches/golds look amazing on blue eyes. 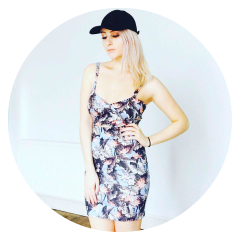 So you kind of get the best of both with this look - it's got colours to suit everyone! A bronzer (like 17 Instant Glow Light Bronze) or any bronze, shimmery eyeshadow. I actually used a bronze shade from a H&M eyeshadow palette I got ages ago, but since it's pretty much empty I didn't bother taking a picture. Any similar bronze/peach colours will do! 1. First thing you'll want to do is provide a base for your eye make-up - this will help anything you put over the lids set and last longer. Plus look better in general! Try a primer of any sort (doesn't necessarily have to be eye primer). 2. Next, using the bronzer or peachy coloured eyeshadow if you have one, get a fluffy, sweeping brush and buff into the outer crease of your eyelid. Make sure you get deep into your crease - it creates lovely dimension! 3. Now here's the fun bit. Using your Colour Tattoo gel, grab a small, preferably angled brush, and dab it lightly into the pot. Begin to create a wing, starting from the inner corner of your eye, and slightly outwards and upwards to the top of your brow bone. Don't worry if you make any mistakes - get a make-up remover, or concealer, and erase any bits of the line that may have smudged. 4. The last, but not least, step. Apply a jet black, lengthening mascara, from the roots to tips of your lashes. And the bottom ones too. All done! Overall, I'm pretty happy with the Colour Tattoo as an eyeliner, or eyeshadow. It's gel consistency makes it so easy to apply, a really rich, glossy colour, lasts for ages, yet, if it smudges, doesn't stain and be an absolute bugger to get off! From day, to night - lasts all day, even in sweaty heat! Tip: Adding blue to the eyes also creates the illusion of having whiter eyes. Which, as a result, makes your eyes look bigger and brighter! Do you guys like the look? If you own Maybelline's Colour Tattoo gel, what do you think? :-) I'd love to try some of their other colours! Aww, this comment is so lovely, thank you so much :-D Of course I'd love for us to follow each other, I'll check out your blog right now! I love Maybelline's, they have such pretty make up colors. Well done Emily, I'm going to stealing your tips:). According to your Eyes, I dint realize that you have such beautiful blue eyes yourself:)!! I wish you luck and hope you find a job that you are going to enjoy it. Have an amazing weekend sweetie! I totally agree, they are such a great make-up brand. Pretty affordable tips! Let me know how the tips work out for you :-) and aww thank you sweetie!! You're too kind! You have gorgeous eyes yourself! And thanks again lovely, I hope so too! Hope you've had a lovely weekend.